The big drawback with the XP system is that there is a daily cap of how much you can earn. Once you reach this cap, you must wait until the next day to continue earning XP. Although it ensures that rank isn't mainly determined by how much someone plays, it also makes rank a lot less reliant on skill and more about persistance. If you continue to hit the cap every day, you'll be able to reach a decent rank and probably maintain it. If you're looking to improve your rank, the best thing I can tell you is that you should play a lot of games. 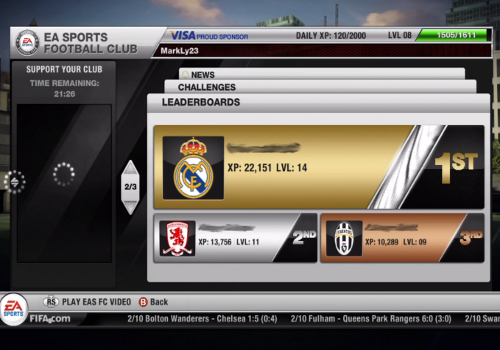 Just play online games for fun and you'll naturally gather XP, and not to mention, you'll get better at FIFA. Like I said, this year's ranking system is rather dissappointing, but it's still always fun to have some friendly competition with your friends.